COOLNUT. Packed with latest technology elements, this 10000 mAh power bank can charge your device at full-speed with a maximum power output of 2.4A, better than the best. And with advanced 2A input port, the power bank itself recharges in half of the time compared to other moderate brands of 1A input that takes long. 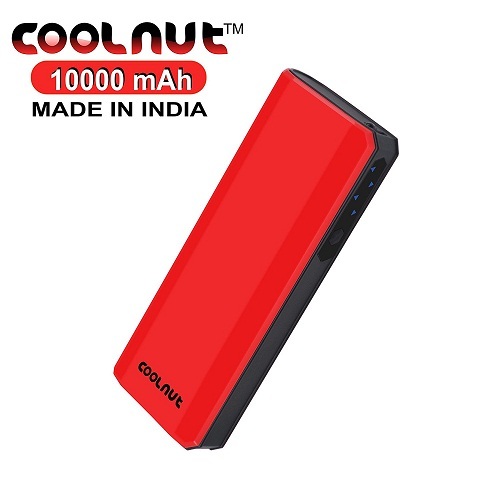 The device has been specially designed focusing on the fundamental aspect of a power bank; the need for fast charging everytime. Gleaming red-black chrome on a glossy ABS+PC shell case that is immediately noticeable, certainly adds the style factor to your life. Ultra high density Lithium-ion cells are used in this battery charger and the standard device is insured with safety standards to protect against over-charging, over voltage or over current. 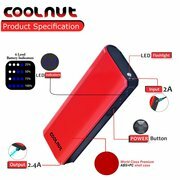 Add to the fact that the power bank has a zigzag row of 4-LED power indicators which indicate the current battery status and a bright LED flashlight enhancing its usability and multipurpose functionality. This integrated package includes 3 high-quality, tangle-free, fast charging USB cables & wall charging adapter that last long. 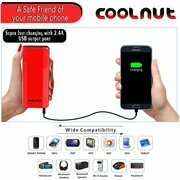 With Coolnut small cable, charge your device easily, even while walking without any hanging trouble. 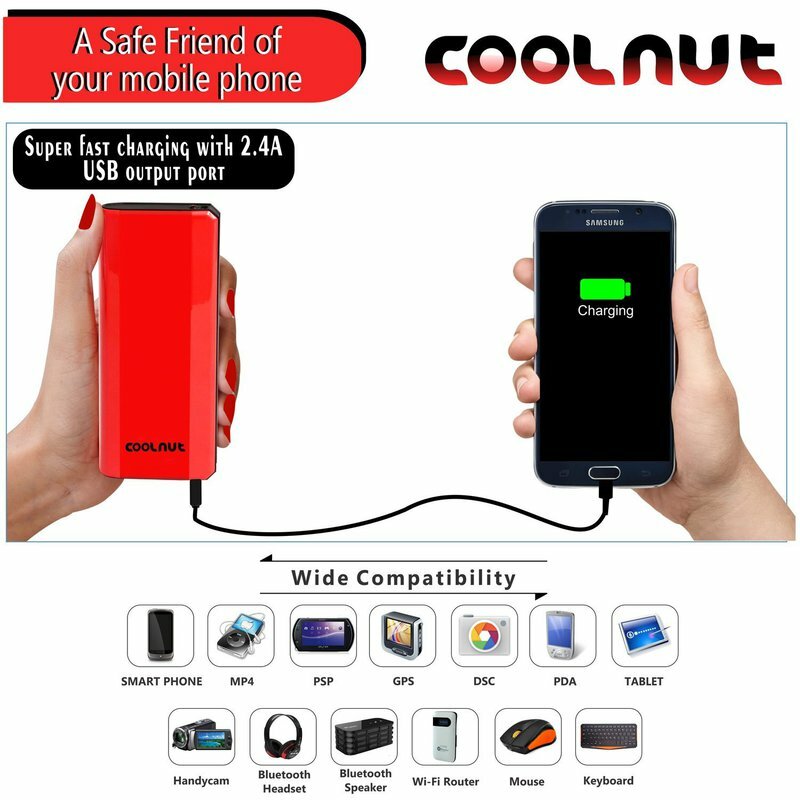 With Coolnut long cable, conveniently charge your device, keeping the power bank wherever you want. With Coolnut charging adapter & cable, fast recharge the power bank with the best performance.